If you are out of ideas for your company’s next year-end function, and are looking for some new ideas in terms of venues and activities, then the Liquid Lounge is the venue for you. Absolutely everyone loves a relaxing and exciting river cruise, making it the ideal treat for your employees and colleagues. 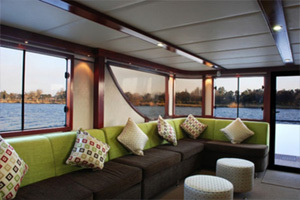 The Liquid Lounge is a luxurious river cruise boat that cruises down a beautiful and calm, navigable stretch of the majestic Vaal River. 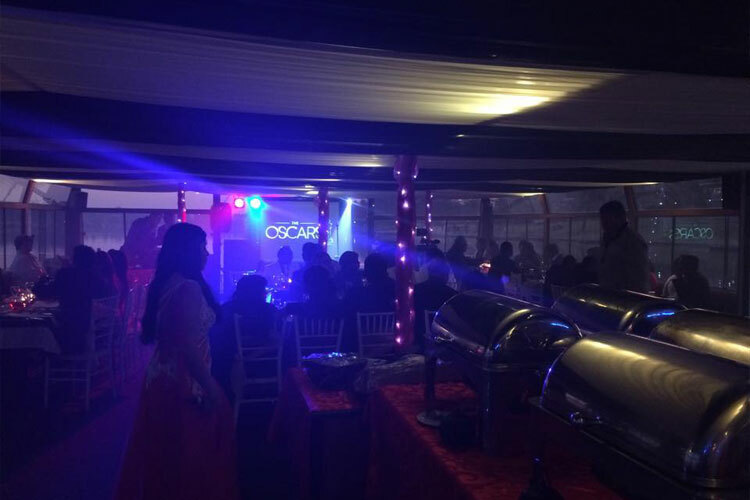 Our excellent facilities, professional staff and spectacular catering will ensure a truly enjoyable and memorable event, the perfect venue for your next year-end function. For more information about Liquid Lounge river cruises and the use of our venue for year-end functions in Vanderbijlpark / Vaal Triangle, contact us today. Function coordination: Our experienced function coordinators will take care of every detail when it comes to your year-end function. This makes planning a year-end function at our venue in Vanderbijlpark a breeze! Discuss your function needs with one of our helpful function coordinators to ensure your year-end function is everything you wanted. Catering: This year-end function venue in the Vaal Triangle is known for spectacular and enjoyable food. We offer an extensive menu to choose from, ensuring there’s food for every taste and requirement. Browse through our menu selection available to view our variety of meats, vegetables, starches, salads, pastries, entrees and more. Décor: We provide a basic setup of beautiful beige and white linen and accessories. We don’t believe you will require additional décor, unless you would like to implement a certain theme. You are welcome to bring your own décor, or you can make use of our trusted décor supplier in the Vaal. 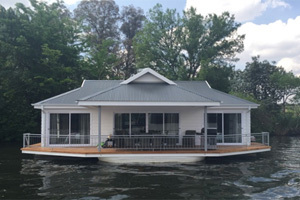 Facilities: Our river cruiser offers all the facilities you would expect from a top class year-end function venue in Vanderbijlpark – Our upper and lower deck provides ample space for our guests to relax. we are also able to construct a dance floor to meet your requirements, and a DJ can be arranged at an additional fee. A cash bar is also available for our guests. 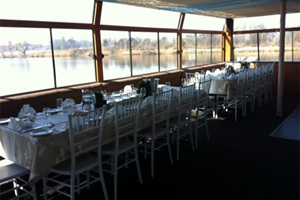 Combining the above mentioned benefits and amenities with a spectacular cruise and views of the breathtaking Vaal River, you are guaranteed a memorable year-end function. Contact us today for more information about this year-end function venue in Vanderbijlpark, Vaal Triangle. What is more fun and enjoyable than a river cruise whilst enjoying a refreshing drink with your co-workers to celebrate another successful year? 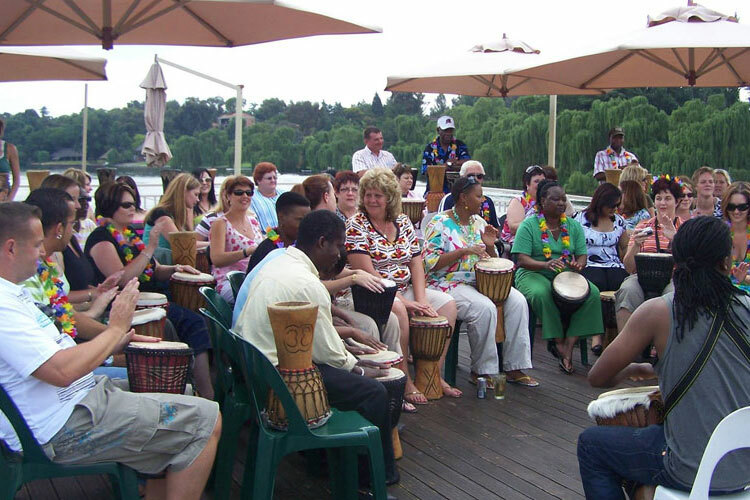 Treat your employees and colleagues to a memorable day out on this year-end function venue in Vanderbijlpark / Vaal Triangle, that cruises down the beautiful Vaal River, and make it a year-end party to remember! 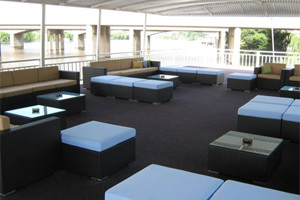 For more information about our river cruise boat or to arrange a site visit, contact the team at Liquid Lounge today. This year-end function venue is ideal for weddings, corporate events and private parties, and also offers public Sunday Lunch Cruises with family and friends.